Three island boat tour from Dubrovnik to Elafiti islands Šipan, Lopud, and Koločep. Includes lunch and drinks. The three-island tour takes you to the biggest islands in Elafiti archipelago. 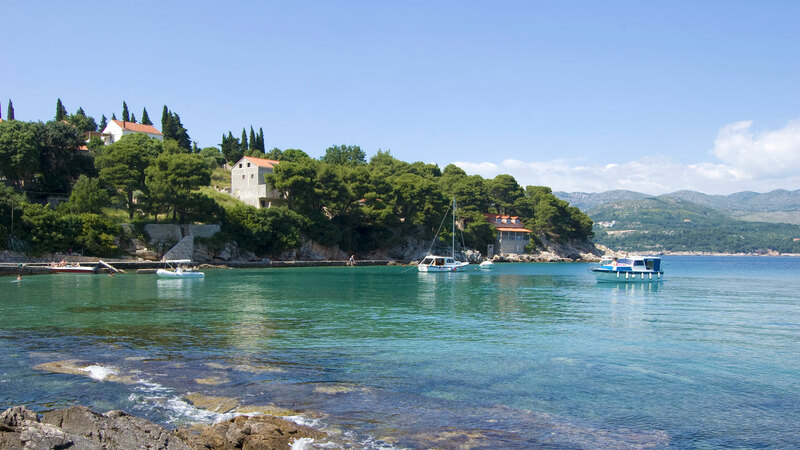 They are fairly close to Dubrovnik, which makes this relaxing day tour very popular. Despite their proximity, they remain largely unpopulated, and each has its unique characteristics. 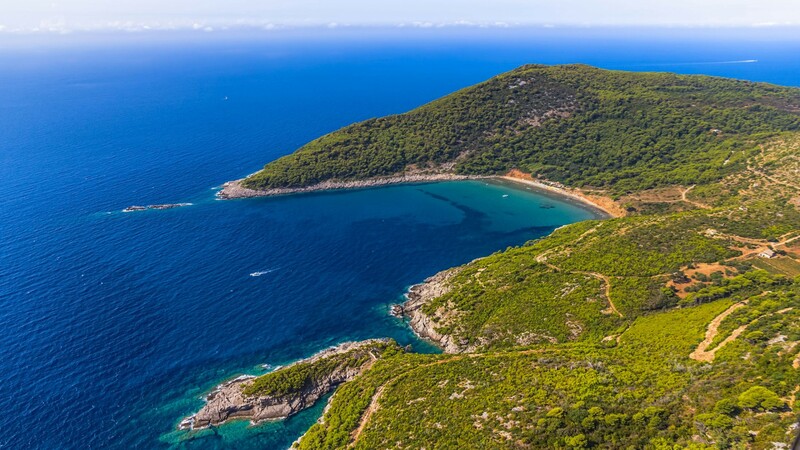 Koločep is the least populated, and its landscape includes high cliffs, Lopud has the most beautiful sandy beaches, and Šipan is the largest one and is well known for its diverse vegetation. After your pickup, we take you to the harbor, where you get on the boat and start your island tour. *The exact order of three islands visits is determined by the ship's captain. Koločep is the island closest to Dubrovnik, and it is also the smallest in size. 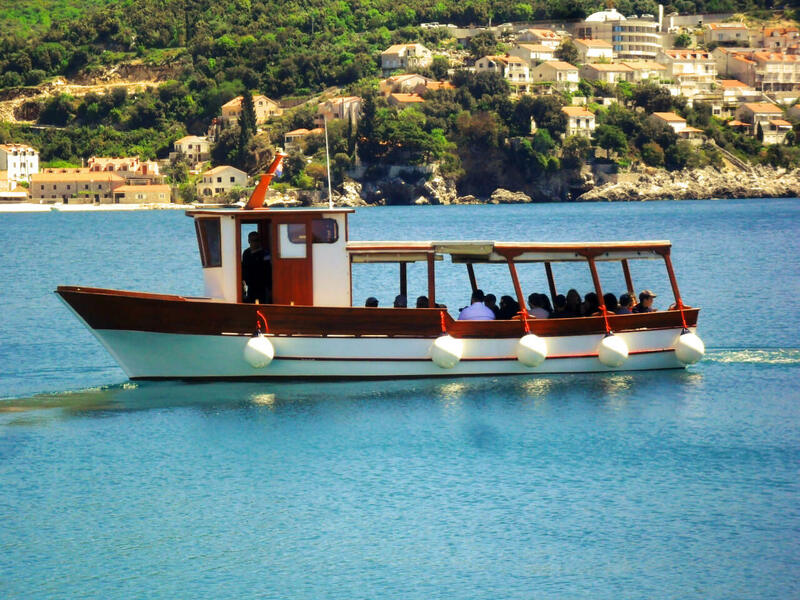 The boat stops in a small fishing village for one hour, giving you plenty of time to do some exploring or swimming. Even though it is a small island, a lesser known fact is that it used to be a shipbuilding site in the old Dubrovnik Republic. Šipan is the largest of Elaphiti islands. It has two ports - Luka Šipanska and Suđurađ. It is known among locals as an island with numerous palm and plant species, so be sure to have a look around while you are there. After some leisure time, lunch and drinks are served on the boat. You can choose from meat, fish or a vegetarian menu. Of the three islands, Lopud is the middle one. It is considered to be the most beautiful island because of its nature and Šunj - the biggest sandy beach in this area. It is also home to a 15th-century Franciscan monastery. Be sure to do some exploring while on Lopud. After seeing all three islands, the boat returns to Dubrovnik, where the driver takes you back to your apartment or hotel.